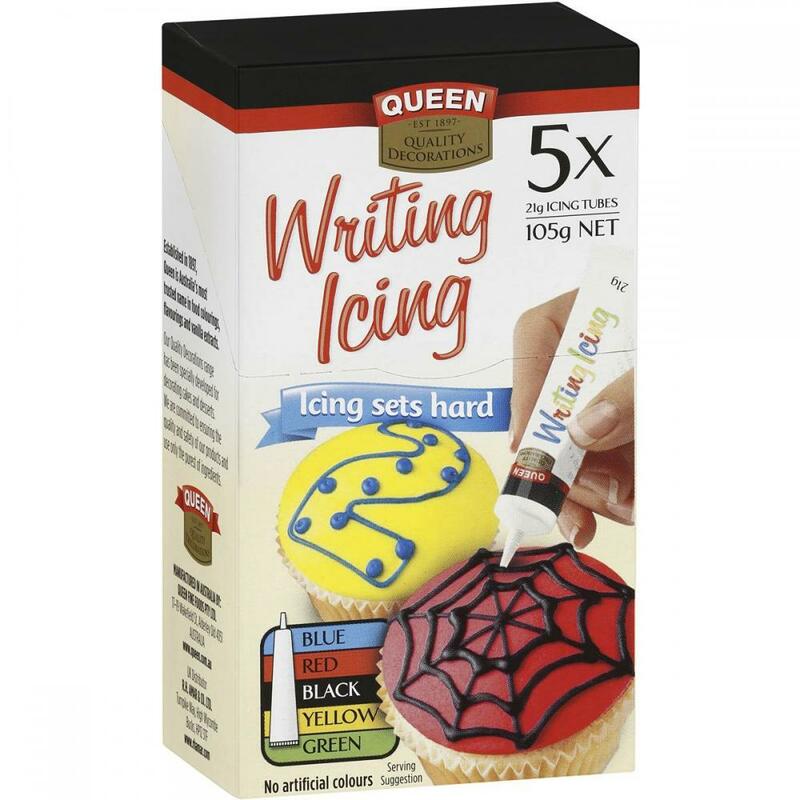 Queen Writing Icings are bright, bold and delicious. The convenient pack of five tubes consists of blue, red, yellow, green, and black colours. A hassle-free, fun way to decorate all kinds of cakes and biscuits. Piped Icing will dry after approximately two hours.